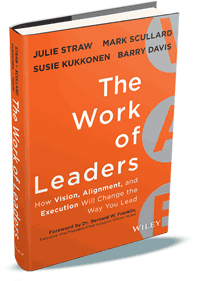 We’re so excited about the release of The Work of Leaders book. It was written with years of extensive research, data compilation and conversations with successful leaders and leadership experts & researchers. The result is a leadership book that combines best practices with a clear leadership plan for improvement. The Work of Leaders book combines laughter, facts, leadership best practices, case studies and more to help leaders of any experience level or industry get excited about leadership with a clear plan of action on improvement. The Work of Leaders goes perfectly with the Everything DiSC Work of Leaders assessment because the assessment provides personalized leadership results to you, while the book can help you get the most out of that information in order to become a more flexible, successful leader. For a limited time, we’ll give you a free DiSC assessment and The Work of Leaders book (a value of $114.95) just for reading our blog! Check out the details, and read the full blog post by clicking here: Work of Leaders Book: New Book, New Lease on Leadership.